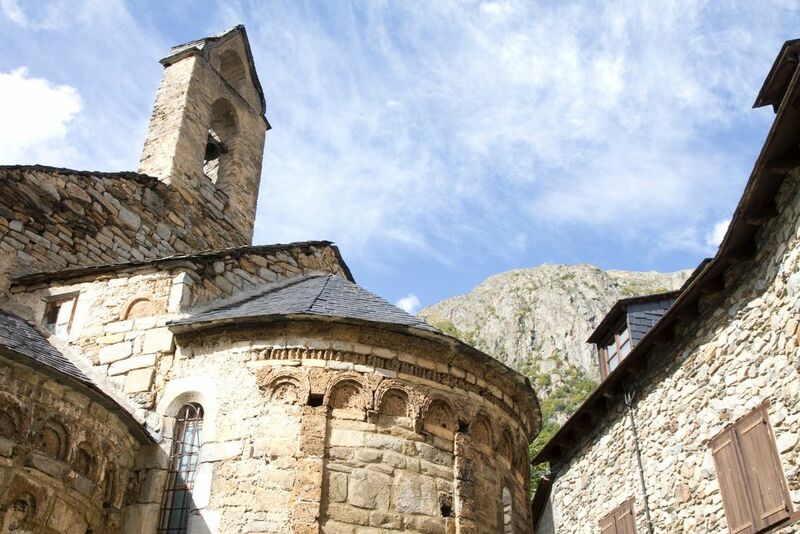 The Romanesque church, Santa Eulària (12C) is the village of Unha's most renowned site. The building presents, on its exterior, modillons that support the cornice of the roof. The interior contains the remains of Romanesque (12C) and Gothic (15C) paintings, as well as a Renaissance fresco featuring Adam and Eve and the seven virtues.